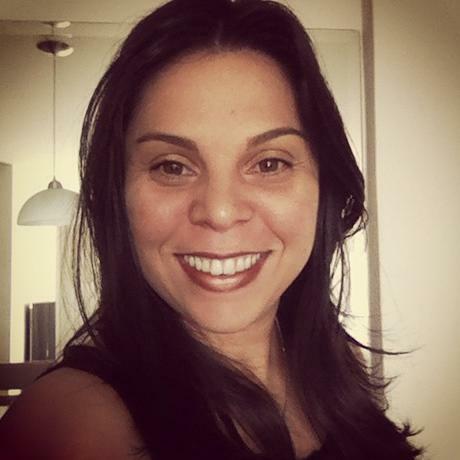 I am delighted to present you with one of my eduheroes, Priscila Mateini from Brazil. Priscila is a teacher, a super-mom and a great person I have connected to on social media and I am very happy to learn from and with her. This interview really touched my heart, because in Priscila’s words you can see the enthusiasm and love for what she does, exactly the same way one sees them in her words when she writes on Facebook or Twitter. She uses the word happy numerous times throughout our interview, which is the essence of education and our work as educators, I believe – Priscila is the embodiment of this, and that is why I have decided to give that title to the interview as well; it is all inspired by her! You can read more about her work on her blog My Reflection on Teaching and Learning. And here is her interview – obrigada, Priscila!